PT. CENDRAWASIH SEJAHTERA Company are the professional supplier of screw barrel for 14 years in Indonesia. We can supply all kinds and types of screw barrel for injection molding machines and extruders and other auxiliary machines. Our main company is in China and we also have own factories in Indonesia. 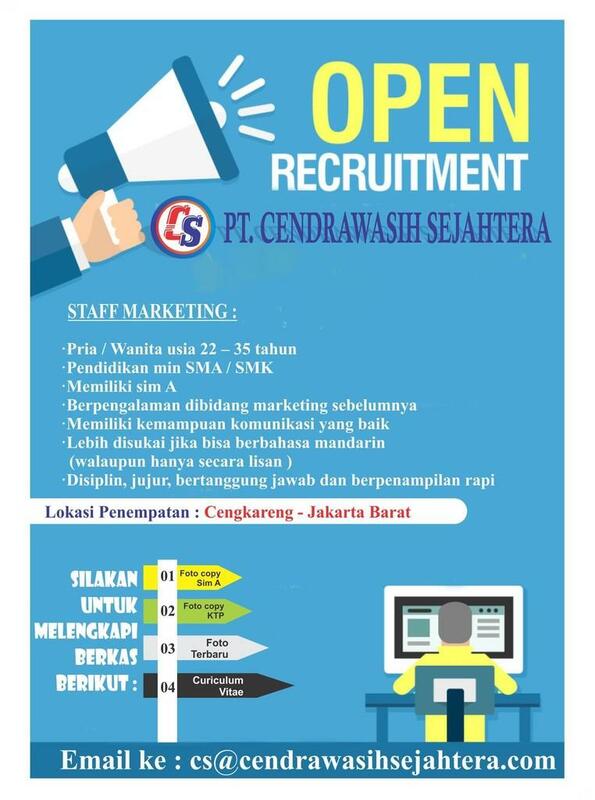 KLIK LINK UNTUK MELAMAR SEKARANG atau bisa kirim cv lengkap beserta foto terbaru ke : cs@cendrawasihsejahtera.com.